Survey finds 87% of cyclists favor mandatory bike lights to help stay safe. The overwhelming majority of cyclists are in favour of new laws to force all cyclists to have bike lights fitted to their bikes. New factors such as most cars now running daytime lights and increasingly busy roads were top concerns. Cyclists it seems are acutely aware that they are being made invisible by powerful car lights. Car hire firm CheapCar.co.uk who carried out the survey of 1,344 cycling customers found to their surprise that it was the cyclists themselves who were critical of each other. The question asked was “What can make cycling safer in the UK”. Spokesman Jonathan Ratcliffe for CheapCar.co.uk says “We were very surprised to find cyclists were critical of each other, especially on those who dressed in dark colours whilst cycling. Their number one idea to help keep each other safe was enforced bike lights – and it seems it’s simply a means to compete with other distractions on the road. He adds, “We have seen great advantages in modern cars running daytime lights, and perhaps this has made cyclists feel more vulnerable. 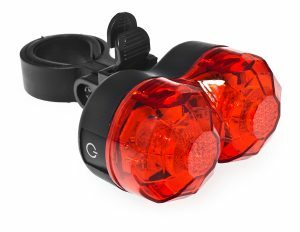 The idea of bikes having daytime running lights seems to be catching on with more and more on the road having lights all the time even in summer. The survey also highlighted that as most cyclists are also car drivers, their understanding of the issues are very real. The cycling community really needs to pull together to help keep everyone as visible as possible.